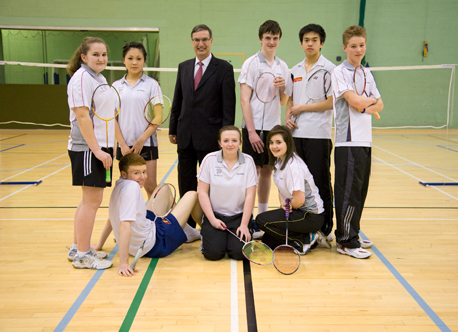 Barclays Wealth is delighted to announce itself as a partner sponsor for the 2011 Isle of Man Commonwealth Youth Games. The £20,000 sponsorship will help to stage the biggest multi-sport event that has ever been held in the Isle of Man. The games, taking place from 7-13 September 2011, will be hosted at various sporting venues across the Island staging rugby 7’s, boxing, athletics, cycling, gymnastics, swimming and badminton for over 1000 competitors from around the Commonwealth. Greg Ellison, Managing Director for Barclays Private Clients said: ‘Barclays Wealth is delighted to support the 2011 Commonwealth Youth Games. The games give young sportspeople from across the Commonwealth the opportunity to showcase their talents on an international level and we are thrilled to be involved. If anyone wishes to contact the Organising Committee this can be done by mailing enquiries@cyg2011.com or by Contacting Us.